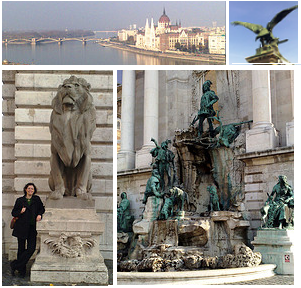 Eszter’s Blog » Blog Archive » Budapest and ZÃ¼rich meetups? Are there any readers of E-Blog in either Budapest or ZÃ¼rich who would be interested in meeting up in person? I’m on the road and it’s one of the rare occasions when I’m not simply in-and-out of a town. Budapest options are this weekend or Monday. ZÃ¼rich options concern next week. Drop me a note if you’re interested and we can figure out specifics. (Email info on my Web site or send a note to my last name @gmail.com.) For those interested in Budapest, you can see some of my photos of the castle district here. This entry was posted on Friday, November 7th, 2008 at 5:31 am	and is filed under General update, Travel. You can follow any responses to this entry through the RSS 2.0 feed. Both comments and pings are currently closed. If you find yourself in Ujlipoptvaros, I recommend the coffee at KAVESZUNET Internet cafe (Tatra Utc. 12b, a stone’s throw from Firkasz). It’s a daggy little place with a handful of internet terminals but the presso kave I had there was the best! I would be very pleased to meet you in person, altough today i have to take care of my son (today my wife is participating yoga courses 🙂 . I’m researching political inequalities and your researches are really useful and interesting for me!